Ash is a privately owned construction company with offices in Guildford, Surrey and West Malling, Kent. We specialise in educational, ecclesiastical, leisure, health and commercial sectors, working all across the South East. Babba & Babba Energy are business telecommunications and commercial energy specialists, respectively, so you don’t have to be. We understand that running a business requires fantastic juggling skills, wouldn’t it be great if you had two less thing to worry about? Babba provide sound telecommunications advice enabling you to make great plans to help your business communicate better and improve staff productivity. Babba Energy are here to save pain, hassle and time by arranging & managing the energy contracts for your commercial premises. Bessler Hendrie Chartered Accountants have been established over 15 years, being a break away from a top ten Practice. Now a 6 Partner firm with over 30 staff we provide a solution-driven comprehensive service to a wide variety of clients. Our core values being those of client care, quality service and a passion and enthusiasm for what we do. Based in Guildford, BEST is a unique group of businesses who individually or together can help local companies to build and run their businesses better. 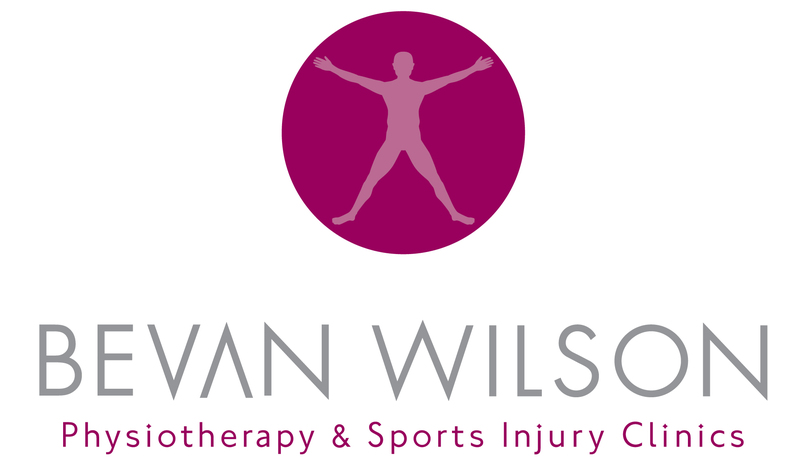 Based in Boxgrove and with clinics across Guildford, Godalming and the Villages, Bevan Wilson‘s experienced team of Physiotherapists offer a full range of treatments and advice for all the family. The general practice is complemented by areas of specialist expertise including sports injury prevention and treatment, rehabilitation for people of all ages and physical condition, neurological issues, hand therapy and acupuncture. Our Working Health division advises companies of all sizes about issues relating to occupational health including workstation assessments and ergonomics. The British Wood Flooring Company. Beautiful and bespoke wood floors, specialists in reclaimed, antique and stunning parquet floors. Originality and style for discerning clients. Burns & Webber are one of Surrey’s finest estate agents specialising in the sale of town and country properties in and around Cranleigh, Farnham, Godalming and Guildford. Supported by our wider office network of 13 additional offices up the A3 corridor and into south west London, Burns & Webber provide our clients with an exceptional level of customer care, that is rarely seen in the estate agency business. We do everything possible to make our clients’ experience of moving as seamless and stress free as possible. If you are thinking of moving, or just need some advice, talk to your local Burns & Webber office. Caremark Mid Surrey support local vulnerable adults and children in their own homes and local communities. They offer a fully flexible approach to care, and are specialists in Learning Disabilities and Dementia. Based in Fetcham, they cover Mole Valley, Waverley and Reigate & Banstead districts in Surrey. Offering support from as little as half-an-hour through to live-in care, they are able to assist with a variety of tasks to ensure that anyone can stay in their own home for as long as possible. Crisp Thinking was founded in 2005 to protect online communities with proactive moderation – removing offensive content and policing malicious users. Now brands as well as online games work with Crisp to manage and moderate User Generated Content. The company offers the first social media moderation service to combine highly trained human moderators with advanced technology to guarantee 100% brand risk detection within 15 minutes on a 24/7 basis in more than 50 languages. The company’s clients include many recognized global brands in the airline, beverage, consumer electronics, gaming, CPG, beauty and luxury goods industries. As a Chartered Financial Planner, Dominic Marcus Financial Consulting offers a service built on holistic planning which ensures that our clients, both corporate and personal, and their families are fully covered and their plans/lifestyle protected in the event of death or serious illness. It is essential that clients are aware of these shortfalls before moving onto wealth generation, provision for retirement, succession planning and the possible impact of inheritance tax. I have over 20 years’ experience of helping clients to agree and implement a sound financial plan and to achieve their goals. Please do contact us or visit our office in Cobham for an initial review. Negotiation and Business Advisor, President elect of the Professional Speaking Assn, and Author. Derek Arden is an excellent adviser, currently sitting on the board of 5 companies, and often appears on television and radio. Derek’s clients benefit from his unique blend of experience that comes from being both a hands-on practitioner and leading-edge teacher. He is a certified business practitioner of Neuro-linguistic Programming (NLP) and a Fellow of the Professional Speakers Associations of both the UK and USA. Derek is President of the Challengers Business Club. Enduralife specialise in providing protection products to members of the public accross the whole of the UK. Our clients benefit from our being able to offer information on the broadest range of products and services. Whether it be for Life Assurance or Critical Illness Cover or both our team has many years of experience in helping you find the most suitable product at the right price. Flamme Rouge is a strategic marketing and business development consultancy specialising in Professional Services firms. Bringing director level advice and hands on support to small and medium sized firms to harness opportunities in their local and regional markets. With 20 years’ experience of working with professional services firms we understand the intricacies and challenges of marketing and business development for law, accountancy, finance and property based professional services firms. Free Bird Film is a production company based in the United Kingdom. We produce promotional, explainer, case study, event, conference and music videos, and guarentee the highest cinematic quality at the best rates to promote your business. We are also a social enterprise, and use our profits to create films for NGOs and charities pro bono. Established in 2002 and privately owned, Highpoint is a niche consultancy that provides bespoke recruitment solutions to meet the specific needs of their clients throughout Surrey and Hampshire. They are experts in recruiting permanent, temporary and contract staff for trainee to middle management positions. Their small team of consultants have commercial experience in a wide variety of industry sectors. They deliver an ethical service with an emphasis on ensuring equal opportunity and diversity within the recruitment and selection process and ensure their client’s recruitment processes are compliant with current employment legislation. A member of the Recruitment & Employment Confederation, Highpoint is fully appraised of the latest employment legislation, market trends, salary levels and resource management processes and can provide unique access to specialist legal advice. Their philosophy is to listen to our clients and offer professional advice with unparalleled service. Ingrid Weel is a family business, originally and still based in Guildford, run by the 3rd and 4th generation, specialising in Self Storage and Document Storage. They cover London and the south-east and have depots in St.Albans and Guildford. Kelly’s Storage is a family business, originally and still based in Guildford, run by the 3rd and 4th generation, specialising in Self Storage and Document Storage. They cover London and the south-east and have depots in St.Albans and Guildford. A stately home for all occasions, Loseley Park is sought after for civil weddings, corporate events, and as a location for films such as Pride and Prejudice. But it’s also a place to visit, to enjoy the grounds, the garden and house. Love Your Logo are absolutely 100% committed to giving dedicated, personal service, whether for a keenly competitive quote on corporate gifts or simply for information. They have an enormous range of corporate gifts, corporate clothing, work wear and personal gifts. They are small enough to guarantee a personal service while their affiliation to a ‘The Select Buying Group’ means an extensive support network and the most competitive pricing. Magimix is recognised as the makers of the best food processor in the world. Still made in France today, they have a rich heritage in food preparation and kitchen products and today’s portfolio combines cooking traditions with the latest design technology. The Magimix superior quality is underpinned by the unbelievable 30 year motor guarantee and superior after sales service which ensures everyone gets the best out of their Magimix. Magimix, built better to last longer. Independently owned four star hotel in the heart of Guildford, The Mandolay Hotel couples exceptional service with first class facilities and our 72 comfortable bedrooms and exceptional meeting facilities make us the obvious choice for business visitors. For those seeking a leisurely break or family get-together we work closely with many local attractions and we are proud members of Visit Surrey, the organization dedicated to promoting our beautiful county. The Mandolay is delighted to support a great local organisation such as Challengers that the staff and volunteers give their time so generously and work so tirelessly to help our community. It makes our association with them a very proud one for everyone at the hotel. Established since 1967, MEA Construction Consultants are a professional practice of Chartered Quantity Surveyors, Cost Consultants and Project Managers. From our offices in Godalming, Chippenham and Covent Garden, we work throughout the UK in all construction sectors covering new build, alteration, conservation and refurbishment works. We were delighted to be involved with the Challengers Big Build Appeal, acting as Quantity Surveyors and Employers Agent for their new Play centre in Guildford. Morrisons Solicitors is committed to delivering outstanding service to all our clients building upon our experience of providing integrated high quality legal advice to individuals, families and businesses. Through our commitment to clients, colleagues, partners and communities we can build a stronger future together supporting each other. Meeting our clients’ needs lies at the heart of everything we do. Many of our solicitors have experience with larger regional or London law firms, while others have a background in business or have risen through the ranks of smaller, local firms. Our experienced and astute lawyers understand and appreciate your business and your individual needs. Open Telecom provide Telecommunication solutions. We offer clients a complete service enabling them to improve productivity and the way they communicate with their customers. We are experts in telephony services including SIP, Hosted handsets, Voice & Data Connectivity, multi-site installations, telephone systems and more. We are based in Surrey and whilst we focus on the local counties, we also have clients throughout the UK. We are delighted to look after and manage Challengers telecommunications. Plan A, based in Guildford, provide architecture and surveying services for commercial and residential clients across the South East. Their previous clients have ranged from the Arundel Museum & Education Centre and Glenthorne High School in Sutton. They have been involved with Challengers’ Big Build Appeal, helping to design and construct our new Guildford Playcentre in 2013. Pro Drive IT. Our business has grown providing many years of services to the energy and professional services markets, where expectations are high and growth can be rapid. So we understand the need for a partner who can bring technology together and develop a joined up strategy, all in a language you can relate to. People are the key to everything we do – that’s why we only hire the best in the industry. And they must have the right people skills. We realise that the right staff, and that means enthusiastic and engaged staff, is what makes the difference. We also take training seriously, and we maintain an ongoing programme of professional development to support it. Property House Marketing, the key division of The House Group, works for national, regional and local property developers, housing associations and property related companies. We deliver sustained and consistent PR advice, support and strategy. PHM’s work targets the media, opinion-formers and influencers, and most importantly potential purchasers, clients and investors. We are active in B2B-related PR, helping clients reach out in their marketplace and across their sector. PSFM are Chartered Financial Planners with five offices around the UK. We have a central Guildford office with 30 experienced staff, and are the largest firm of Independent Financial Planners in the Guildford area. We offer private clients a bespoke professional service that creatively addresses their diverse range of financial objectives. We have a clear fee proposition and an initial meeting with clients is without cost or obligation. We are part of the broader Punter Southall Group and through associated businesses can offer discretionary investment management, workplace pensions and other employee benefit services. Ramsac commits to making IT stress free. We do this through the provision of people focused, strategic and proactive IT outsourcing. Whether you need to outsource your IT in totality, or whether you have a great in house IT department that could sometimes use some additional IT support resource or specific expertise, ramsac has repeatedly proven that we can exceed expectations. Real Learning was set up to accelerate success by focusing on providing innovative learning experiences and learning support systems to professional services sector. Their goal is to improve the vital strategic thinking and people skills that help an organisation create highly effective resilient collaborative teams. RHW Solicitors. Your local law firm providing specialist legal advice on a wide range of legal matters. We have specialist knowledge in commercial matters, in particular we are renowned for dealing with healthcare providers. We also offer a strong private client team of solicitors, to meet the individual’s needs. Roffe Swayne are Chartered Accountants and Business Advisors based in Godalming. Roffe Swayne look to work in partnership with all their clients over the long term and invest time in listening, to ensure that advice fits exactly with the client’s aims. They are constantly striving to be innovative in the way in which they deliver their services. Tom Williams of St. James’s Place Wealth Management is a financial planning and wealth management specialist serving individuals, families and businesses through reliable face-to-face advice in and around the Guildford area. Something Big provide design and marketing services for a variety of businesses – large or small; private or public sector; consumer facing or b2b; global, national, or just around the corner! The Promotional Edge is all about events that have the edge. We create events that work, we style events that ‘wow’, we never leave anything to chance and we take huge pride in offering our clients a unique service experience. Whether you’re looking for a tailor-made corporate event or a very individual private function our promise is that we’ll exceed your expectations. The Whiteley Clinic is a private Medical Facility specialising in surgical and non-surgical treatment of varicose veins and venous conditions – and is where The Whiteley Protocol™ was developed for the treatment of varicose veins. TMB Group provides a wide range of IT services and products to businesses and other organisations across the South East and London. Our mission is to make IT solutions that suit our customers’ needs and budgets, without blinding them with jargon or complicated user agreements. With many years of experience behind us, we can help with managed services, software licensing, accounting solutions, cyber security, hosting, cloud applications, technical consultancy and much, much more. The Wilky Group focuses on property investment, development and related activities and holds an investment portfolio worth in excess of £30m. The Group was formed 60 years ago and is based in Guildford, Surrey and Farnborough, Hants.